The mobile app of this website is very good and it has several good options to choose from. It all depends on the mobile device that you own right now. Actually, it doesn't matter what kind of mobile you have. What's the difference between each mobile app, how to choose to right and what's available inside. 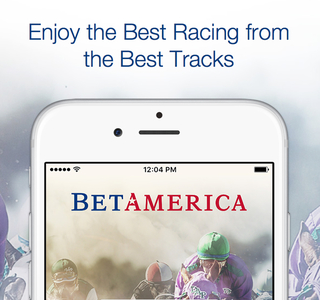 Now you can understand the answers of all these questions and make your final choice to wager mobile at Bet America. You already know that you will have three different options. Now is the time to see the details of each one because there is a little difference but all of them provides all available features for online betting. It's 100% mobile-friendly platform compatible with smartphones, tablets and even some book readers. Yes, you can use it on any device. That's the best way to start because you see everything from inside and learn how to use it. Once you are on the mobile website you will see the main menu, login form and registration form. 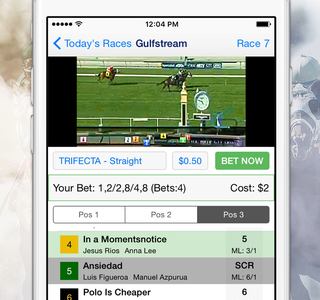 These are the three taps on the top of your web browser, just below the Bet America logo. After that you can click on the ‘Sign up' button and become a player. There are two different apps right now. The first one is for online betting. The second one is mostly fans zone with free radio, interviews, news, stats, interesting facts, tips and more. 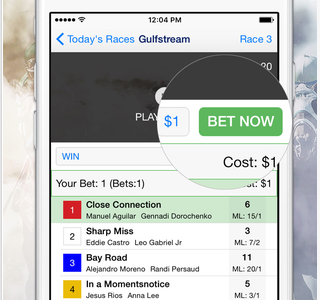 If you intend to bet via iPhone, iPad or iPod touch it's good to try both of them. 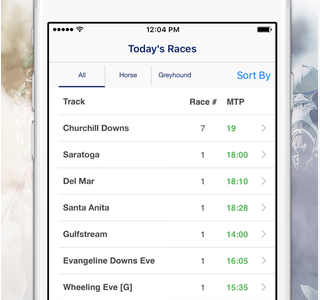 The horse racing betting application is definitely the right one to wager via mobile. It has a very small size of 26.1 MB only. The welcome bonus is also applicable for app registrations. You can use many powerful features from the palm of your hand. You should have at least iOS 8.0 or later on your Apple device to install correctly and get in the right direction.